« Can You Escape The Basement? Halloween is a special time in Las Vegas. The city embraces the season with a furious passion. Haunted attractions pop up all over town including Asylum, the new Project X, and the infamous Freakling Brothers Trilogy of Terror. Arguably, the centerpiece of Halloween in Las Vegas lies in an unlikely location: the classic Las Vegas hotel and casino, Circus Circus, located on the north end of “The Strip,” just south of Sahara Avenue. Behind Circus Circus is their popular indoor theme park, the Adventuredome. Each October, the Adventuredome gets transformed into “Fright Dome” and its grand architect is Jason Egan. Haunts come and go in Sin City. 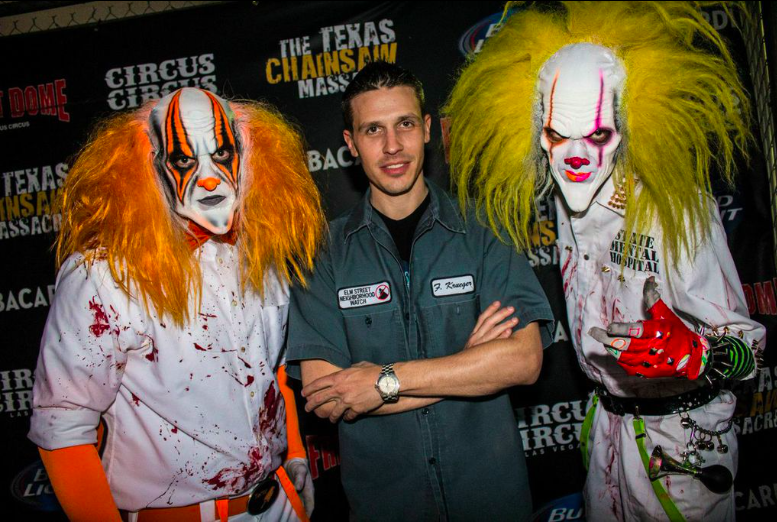 Just last year, Eli Roth’s multi-million dollar Goretorium shuttered just before Halloween. 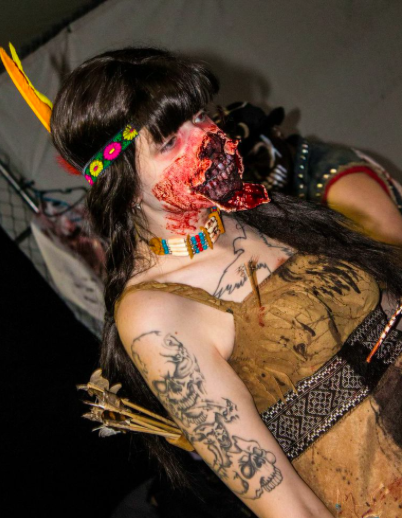 Fright Dome, however, has returned to haunt the Strip year after year since 2003. Egan leads his team and nearly 400 performers to put on the yearly event. 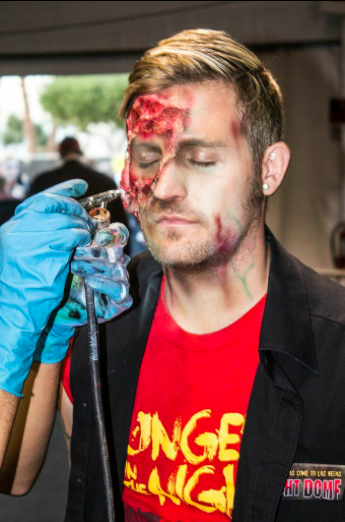 Prior to Fright Dome, Egan was just your average guy who wanted to scare people. The event he spoke of was called “AdventureDoom.” When Egan was brought on board, he had with him a much more fitting title. And just because the setting for this event is one of the few family-friendly hotels on the Strip, don’t let it fool you. He, of course, is referring to more extreme haunts like Blackout, Mckamey Manor, and Las Vegas’ own Freakling Brothers. 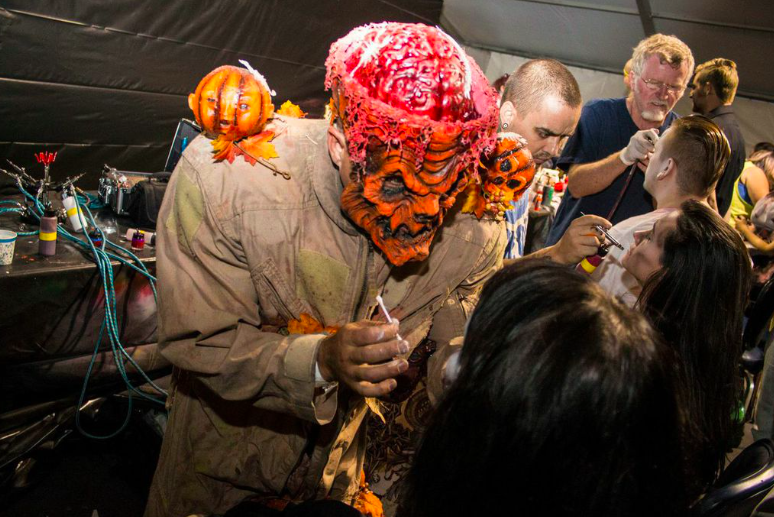 Fright Dome offers something more akin to Six Flags’ Fright Fest, Knott’s Berry Farm’s Halloween Haunt, or Universal’s Halloween Horror Nights: Haunts and frights intertwined with rides and attractions in a controlled environment. In this case, a theme park inside a climate-controlled glass dome. At Fright Dome, you can partake in many of the rides and attractions that Adventuredome has to offer during the day such as the Canyon Blaster, Disk-O, Chaos and the all-new El Loco roller coaster… albeit in COMPLETE DARKNESS. The 4-D theater and Ride-film Theater are given a haunted makeover with unique Halloween attractions that can only be seen in the evening. Add to all that a few scare zones and, of course, haunted houses. 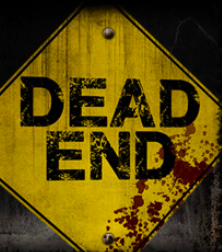 Dead End – a vampire house. Texas Chainsaw was a big ‘get’ for Egan. He’s always wanted to use it as a theme, but it wasn’t until this year (being the original film’s 40th anniversary) that he was able to bring them on board. This isn’t the first time Fright Dome has had licensed properties making an appearance. Bringing a licensed property on board takes quite a bit of time, with the studios and production companies being VERY hands-on. Egan also noted that some production companies come to him merely a month before the event asking to be a part of it. By that time, it’s simply too late. Unlike the other houses, there is no guide and there is no group. You go through completely ALONE. When surveyed “What would be the scariest thing you’d have to experience in a haunted house,” a very common answer was, “If I had to go through ALONE.” This unique experience, themed as an asylum, creates its own challenges in the form of capacity. On any given night, Isolation can bring through between 700 and 1200 guests… Far less than the total number of attendees each night. 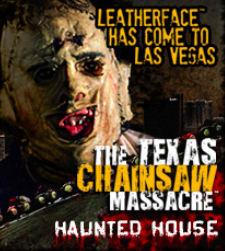 This is why guests must purchase a fast pass or VIP guided tour to experience this haunt. Over the years, the event has grown and grown. It has attracted such celebrities as Michael Jackson, Stevie Wonder, Missy Elliot, David Copperfield, Holly Madison, Paris Hilton… the list goes on and on. It has become a staple in Las Vegas and will be back next year. 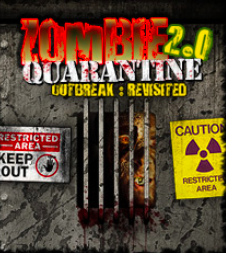 In fact, once Fright Dome 2014 closes its doors, Fright Dome 2015 begins its preparations immediately. For Egan and his team, it’s a year-round job and the workload continues to increase. This year, he opened another Fright Dome in Hong Kong. 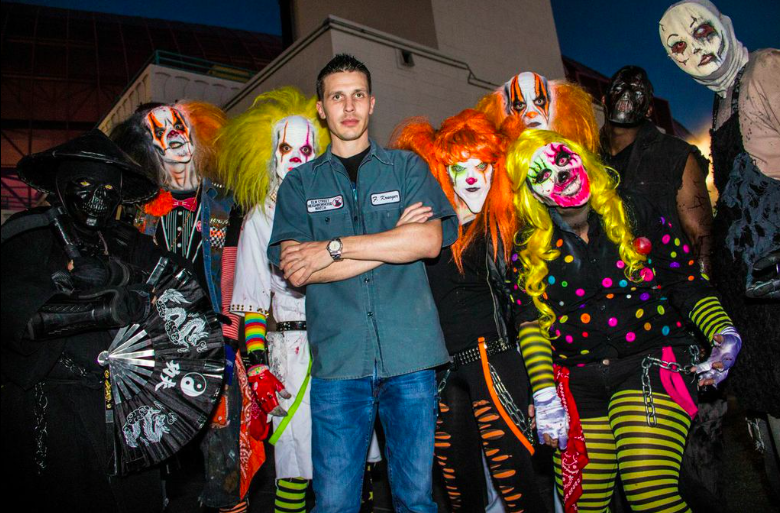 In 2015, he’s bringing something new to the table: a haunted experience in Boston called Fright Island. Fright Dome runs select nights through October 31. On November 1, Fright Dome has their Afterlife: Day of the Dead celebration – an 18-and-over edition of the event featuring live DJs. 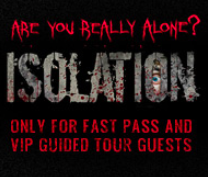 For more information, visit frightdome.com. 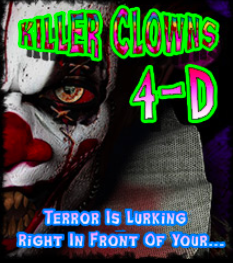 This entry was posted in Haunts and tagged Circus Circus, fright dome, haunted house, Isolation, Jason Egan, Las Vegas, Texas Chainsaw Massacre. Bookmark the permalink. Trackbacks are closed, but you can post a comment.